If you’re looking to purchase a new crossbow scope, whether it’s for a x-bow that didn’t come with one or to replace your existing glass, there are plenty of choices out there. Unfortunately, most of those options are Chinese-manufactured junk. 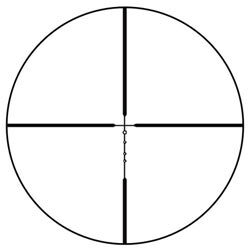 Those are the scopes that will fail in the field, the reticle will fall straight out of the viewfinder, or something else will go wrong. We’ve looked closely at all of the options out there, and have rounded up the top eight crossbow scopes available in 2017. Have a look at all 8 to see if one may be the best crossbow scope for you. First, we have the Hawke XB I SR, a scope that offers a terrific reticle with five aiming dots, illuminated, along with rangefinding brackets. 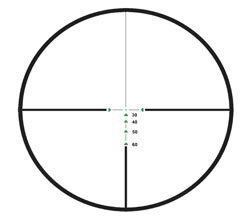 The reticles also allow for aiming points beyond the usually 60 yards, all the way to 100 yards. The scope allows red or green illumination, with five levels of brightness, and it works wonderfully in all lighting conditions. Eye relief is a bit short, since this is a 1.5X to 5X scope. However, it’s still a comfortable three inches. This model features a velocity adjustment wheel, so you can set it from 250 to 425 FPS, depending on how fast your x-bow flings the arrow off the rail. The optics are fully multicoated, with 11 layers of antireflective coating. This means excellent clarity and superb light transmission, allowing you to confidently use this scope even in the darkest of legal hunting times. The glass is waterproof, shockproof, and fogproof, so it’ll definitely stand the test of time and abuse. Click here to check the latest price on this crossbow scope. Only a few crossbow manufacturers make high-quality scopes, and Excalibur is one of them. The Tact-Zone Illuminated is one of my favorite pieces of glass, offering 2.5X to 6X magnification and a velocity knob to dial the scope into your x-bow’s speed before you sight it in. 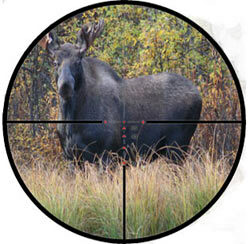 This makes sighting in much easier, since the scope is set up for precisely how fast your arrows fly off the rail. You get illuminated etched reticles from 20 to 60 yards, but they’re dots from 30 to 60 yards. The good news is that the illumination is great for all lighting conditions, and makes them relatively easy to see. The Tact Zone has fully multicoated optics, making for great light transmission, and it’s both waterproof and fogproof. This scope is just as enjoyable to use before dawn as it is after. Field of view is terrific, at approximately 45 feet from 100 yards at 2.5X magnification. I estimate the field of view at maximum magnification to be round 20 feet. Click here to check the latest price on this crossbow scope. Another Excalibur scope, the Twilight DLX offers quite a bit to the crossbow hunter. Its adjustable for x-bows shooting between 300 and 400 FPS, which is actually a bit low in today’s world of 400+ FPS velocities. Even so, it’s a terrific scope with illuminated reticles for shooting out to 60 yards. The illumination levels on the dots is perfect, and the scope is rock solid. On the downside, this scope is quite large and bulky, and might not fit in some crossbow cases. The optics are fully multi-coated for optimum light transmission, and the glass is waterproof, fogproof, and shockproof. Eye relief is quite comfortable, but I keep coming back to the light transmission of the scope. It’s probably the best I’ve seen in a crossbow scope. This is a sure-fire way to bag that next buck, as long as your x-bow shoots under 400 FPS. Click here to check the latest price on this crossbow scope. Parker Bows has built a truly unique crossbow scope, providing you with a patent-pending “Dial-a-Distance” knob that allows you to use the scope hand-in-hand with your laser rangefinder for pinpoint accuracy. It provides 3X magnification, and multiple illuminated reticle dots for accuracy out to 80 yards. Dots also correspond to yards from 20 to 50, for use without a rangefinder. The optics are fully multicoated and provide excellent light transmission. The illumination in the reticles is perfect for almost any lighting condition, so you can confidently use this scope before dawn or after dusk. The glass is waterproof, fogproof, and shockproof. In short, it’s never let me down. Click here to check the latest price on this crossbow scope. Nikon is known for quality optics, and the Bolt XR is no exception. 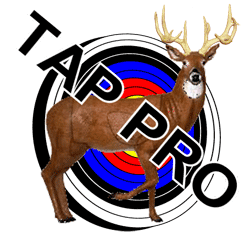 It offers you multiple reticles and great eye relief. You get 3X magnification, so you can get up close and personal on your prey from up to 60 yards away. 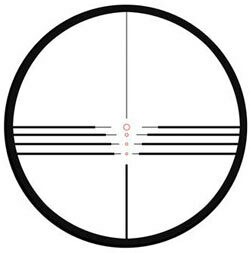 The BDC 60 reticle offers you precise aiming points from 20 yards to 60 yards. My only beef is that you don’t get lines, just dots. 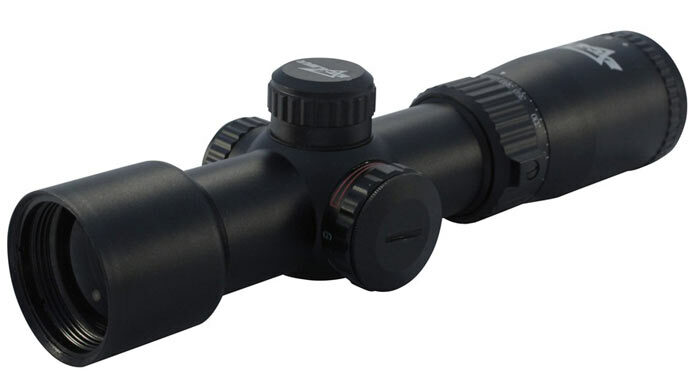 The optics on this scope are crisp and clear, and everything is sealed to make the glass fogproof and weatherproof. The reticles aren’t illuminated, unfortunately, but the light transmission is terrific coming in at 92 percent. Still, you wouldn’t want to use this scope in very dark conditions, but it’s great right after dusk or just before dawn. Click here to check the latest price on this crossbow scope. Hawke Optics makes some of the best optics in the game for their price points, and the SB MAP is a great choice for the budget-conscious hunter. It offers 3X magnification and four reticle lines and dots for aiming from 20 yards to 60 yards. 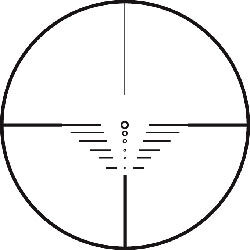 This scope’s reticle even offers range-finding brackets to make it easier to get that perfectly-placed shot. The eye relief is a comfortable four inches, and the scope is calibrated for x-bows shooting at 315 FPS. 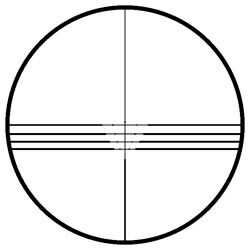 Unfortunately, you can’t adjust that — this means you may have to “fudge” the reticles a bit when shooting with a slower or faster x-bow. The optics are fully multi-coated for excellent clarity and light transmission, but the reticles aren’t illuminated. The whole kit is waterproof, shockproof, and fogproof. It’s still a good scope for most lighting conditions, and I’ve used it to harvest deer even during the 30 minutes before dawn. Click here to check the latest price on this crossbow scope. Now we come to the Arrow Precision Inferno, an illuminated-reticle scope with four vertical dots for use at various ranges. Unlike many scopes, you can determine the range for each dot independently, using a calibration process that’s much more complicated than it needs to be. The scope offers 4X magnification, with great eye relief and good optics. 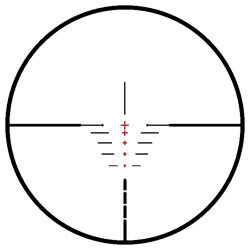 Depending on how you set up the scope, the six illuminated reticle dots could give you accuracy out to 70 or 80 yards. The optics are multi-coated, not fully multicoated, but light transmission is still decent. Even with the illuminated reticles, though, I found this glass wanting in the darkest of times in legal hunting hours. You may want to pass this one up if you find you do your best hunting 30 minutes before dawn or after dusk. Click here to check the latest price on this crossbow scope. Last, but certainly not least, is the Raging River Multi-Reticle scope. This is a very budget-conscious choice, because it’s Chinese-made. The difference between this scope and other Chinese-made optics is that it’s actually a decent piece of glass. 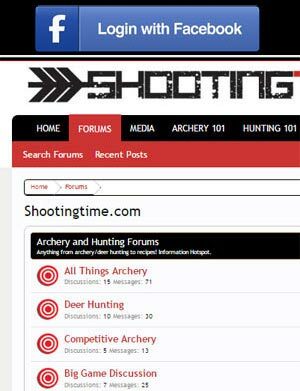 It provides you with five aiming points from 10 yards to 50 yards. It has a limited field of view, unfortunately, but it’s still adequate for most hunting situations. The light transmission is amazingly good, thanks to the fully multicoated optics. The reticles aren’t illuminated, but I’ve still been able to use this scope in fairly dim lighting conditions. It seems to be both waterproof and fogproof, but the manufacturer doesn’t specify that. All I know is that it’s been rock-solid in even the poorest of weather conditions. Click here to check the latest price on this crossbow scope. 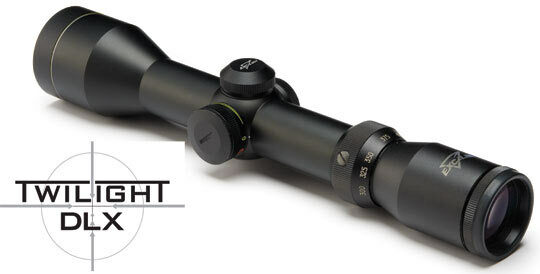 Nice review on all price range scopes.Most sites only review the priciest of scopes.